Visit my Lilla Rose website and be sure the URL says prettyhair. Place your first Lilla Rose order of 3 or more items to receive a certificate from me for one free item of your choice, up to $16.00. Shipping is included, too! 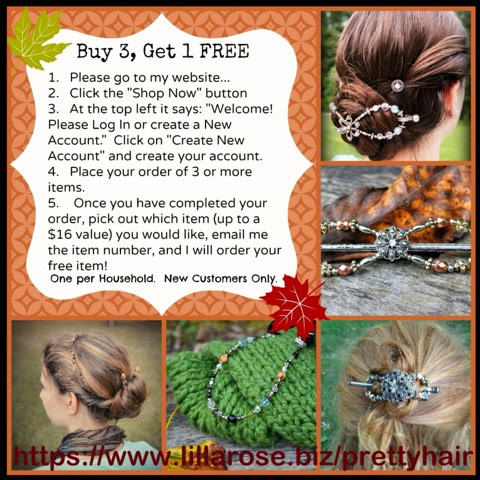 Disclaimer: As a Lilla Rose independent consultant, sales through http://www.lillarose.biz/prettyhair will result in a commission for me. Please ask if you have any questions about the products or the business opportunity.